Objective: Create a bold new logo and overall branding for existing handmade candle business, whilst still keeping some soft whimsy of the “handmade” nature of the brand. Execution: A simple, minimalist yet bold logo was created using a sans-serif black type, which was then contrasted with soft, delicate hand painted patterns of nature and abstract colours and shapes. 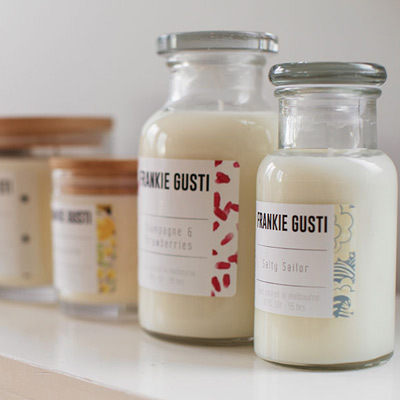 Each scent was given a unique pattern to correspond with the flavours of the candle. For packaging and labels, the details were made soft with a light, rounded typeface and organic separator lines.